Ostium Episode 4 – First Contact is now available in a special early release one week before the regular release for Patreon patrons. 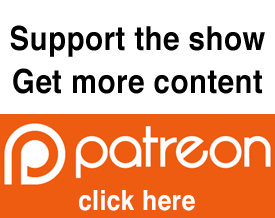 Go to Team Ostium’s Patreon page to subscribe and get access to lots of goodies. At the lowest level, for just $2 a month, you’ll get access to Ostium episodes a week before regular release, as well as a new mini episode. So if you subscribe now, you’ll get to listen to Episode 4, as well as three mini episodes. Head on over to our Patreon page. ← Patreon Patron Exclusive Coming This Sunday!